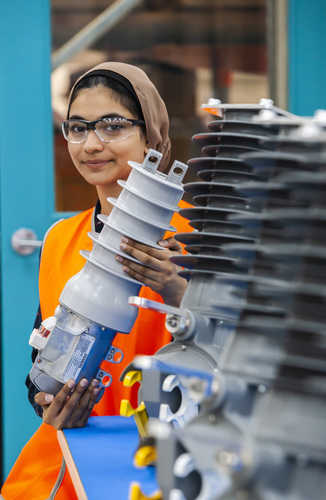 Our employees play a vital role in our success in Australia and across the world. Working at Siemens, you have the chance to develop both personally and professionally; working on projects that make a difference and benefit society. We value diversity as the inclusion and collaboration of different thinking, backgrounds, experiences, expertise and individual qualities across all organisational levels. The diversity of our employees and business partners fuels the ingenuity that has driven Siemens’ success. It is about enabling different ideas and approaches to thrive. It is about tapping the creative potential of all our employees to be as diverse as our customers and ultimately, the fabric of the societies we operate in. We establish an open work environment for all of our employees, embracing inclusion of cultural background, ethnicity, origin, sexual orientation, or gender identity, expression or characteristics. Throughout the region, Siemens reflects the diversity of the culture and people and the ingenuity of the nations. In Australia, the company employs people from almost 50 countries with various backgrounds, preferences and thoughts. We create possibilities for diverse experiences and interactions, including employee led diversity networks, with the overall goal of achieving a diversity of mindsets throughout our organisation. Our ambition is to unleash the full potential of our people. As we look for new areas of competitiveness and growth in Australia and New Zealand, our gender neutral parental leave policies, working from home guidelines and the launch of our flexible work whitepaper underpins our efforts to establish more open work environments that reflect modern and digitally connected workforces of the future.